Like many little girls, Dianne Martinez dreamed of becoming a dancer. But in Brighton Park, the southwest-side neighborhood where she grew up, there wasn't anywhere where she could take ballet lessons. The nearest Park District facility was in McKinley Park, and it didn't offer dance. The local private studio was too expensive, and she couldn't explore options in other neighborhoods because her mother didn't drive. 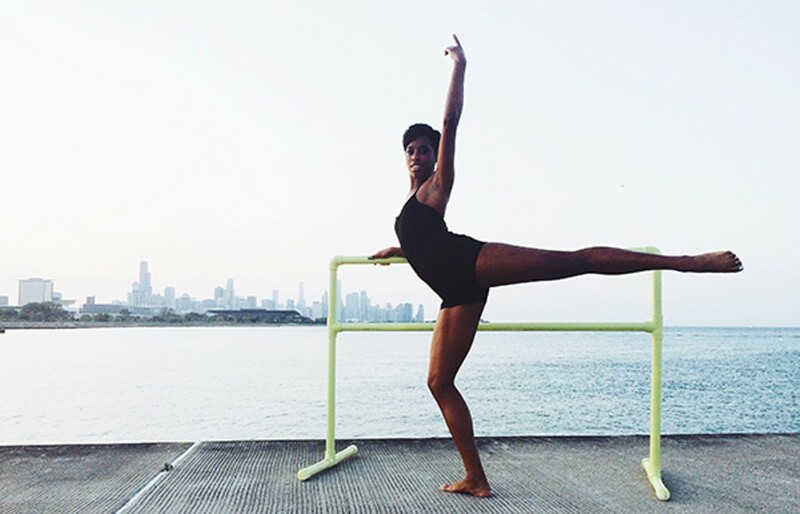 She finally got her dance lessons as a student at Curie High School, and she loved them. She found a few free dance programs on the north side, two train rides away. Finally, at the ripe old age of 19, she realized she wasn't getting the training she needed. She decided to become a high school history teacher instead. Barbara San-Roman, one of her colleagues at Benito Juarez Community Academy in Pilsen, had a similar story, except she'd grown up in Miami and taught English. They coached the school dance team together and spent a lot of time talking about how they missed dancing themselves and wondering if there were any affordable programs nearby. The only one they could find was a Mexican folkloric class at the Park District, but it had a ridiculously long waiting list. Anyway, it wasn't ballet. Finally one day in the summer of 2014, San-Roman called up Martinez and asked, "Do you want to start a dance studio?" Recycled Barre, the result of more than a year of planning, opens Monday, September 21, at Juarez. It's the first studio of its kind in Pilsen, and in Chicago. "We're a nonprofit community-based dance studio," says San-Roman. "Instead of creating the studio, we go into schools, community centers, and churches and repurpose underutilized spaces. It's a community-based dance studio for all community members." "We're literally using a recycled ballet barre," adds Martinez. "We used local contractors and got street artists to paint the studio." The classes, run by experienced teachers, range from Mommy and Me through sequences designed for elementary school students to ballet, hip-hop, and dance-based fitness for adults. Most classes operate on a walk-in basis and cost $5 for Juarez students, teachers, and parents and $10 for everyone else. Sixty percent of the fees goes back into the organization, 20 percent goes to the instructors, and 20 percent goes to Juarez to pay for the building and upkeep of the studio. Plans are under way to build a second studio at the Firehouse Community Arts Center in Lawndale. Next summer, Martinez and San-Roman also want to offer pop-up dance classes in parks around the city. At first they were apprehensive, but, says San-Roman, "it's been all green lights. The community has been very supportive. It costs them nothing. We take care of the fund-raising." "This may be a low-income community," adds Martinez, "but it's still thriving. Classical dance has traditionally not been accessible to people of color. You have to have money to access that form of art." He lost it all but found the will to dance.